Pioneers in the industry, we offer sea water scooter from India. 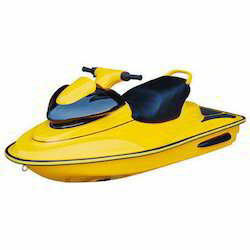 Our company is one of the leading companies that offer a wide range of Sea Water Scooter to meet the needs of our clients. This range has paddles to operate and can be used very easily. The use of modern machines and latest equipment is used while manufacturing this range. In addition to this, we are offering this product at market leading prices. Looking for Sea Water Scooter ?